When Americans wince upon hearing presidents make proclamations about foreign policy, the legacy of the 1968 Tet Offensive looms large. 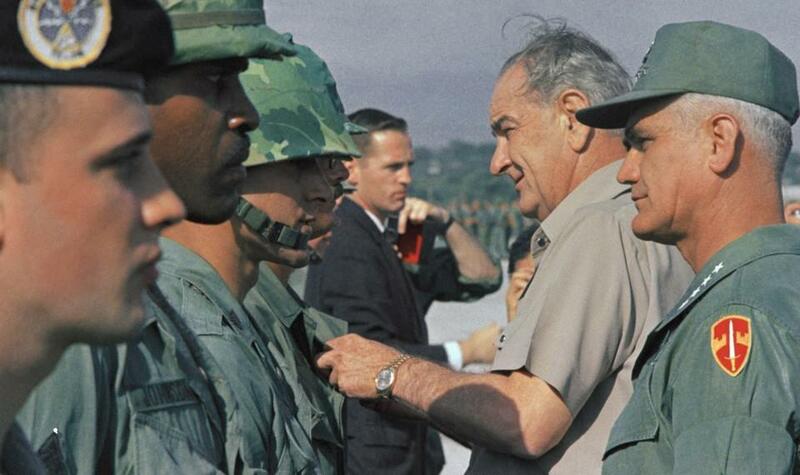 On January 30, at the start of the sacred Vietnamese holiday of Tet, which celebrated the start of the new lunar year, the North Vietnamese and the Vietcong launched a massive military offensive that proved the battle raging in Southeast Asia was far from over, and that President Lyndon B. Johnson’s administration had grossly oversold American progress to the public. Although U.S. troops ultimately ended the offensive successfully, and the North Vietnamese and the Vietcong suffered brutal loses, these bloody weeks triggered a series of events that continue to undermine Americans’ confidence in their government. The Tet offensive came after several months of the North Vietnamese modifying their strategy. Rather than a battle of attrition, the leadership planned to launch a massive assault that aimed to undermine the morale of the South Vietnamese as well as the American public. Since December, the North Vietnamese had been conducting a series of attacks meant to send U.S. forces in the wrong direction. Johnson and his military advisors fell for the trick. The president and General William Westmoreland had focused on potential attacks against a U.S.